Social Workers Registration Board Happy Social Workers Day 20 March 2018! We’d like to wish social workers a very happy Social Workers Day on 20 March 2018. We hope all social workers will do something to commemorate the day. We also hope social worker employers, colleagues, clients and their families will take a moment on 20 March to reflect on the huge and positive difference social workers make in what are often very challenging and difficult circumstances. All social workers in New Zealand deserve our support and encouragement. 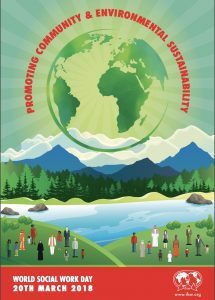 For more information on World Social Work Day, please follow the link below.